You’ve gotten into the groove of making junk journals, and you really enjoy the process of creating them. So much so that now you have more junk journals than you know what to do with, and you’re going through craft supplies faster than you can make trips to the craft store. And you’re wondering if maybe just maybe you should try your hand at selling your junk journals – but how? Today I’ve put together a guide on how to sell your junk journal. This is going to be kind of long, so grab a mug of tea or some coffee (if you have any left that’s not staining paper that is) and let’s get started. I remember wondering at first if it was even possible to sell my junk journals. I loved them, but would anybody else? Then I started seeing others have success at selling theirs and I decided I’d give it a try, but I had no idea what I was doing. Where could I sell them? Who might want them? It was definitely trial and error but eventually I figured it out, so I wanted to share a few tips with those of you who might just be getting started. Should I Sell My Junk Journals? This is a really personal choice you’ll have to make. I know some folks who don’t want to sell journals at all because they just love them too much to part with them. They’d rather keep them on a shelf at home or share them with friends or family. Some other folks prefer to do swaps instead of sell them so that they can have a variety of journals and styles from all over the world without having to worry about selling them. 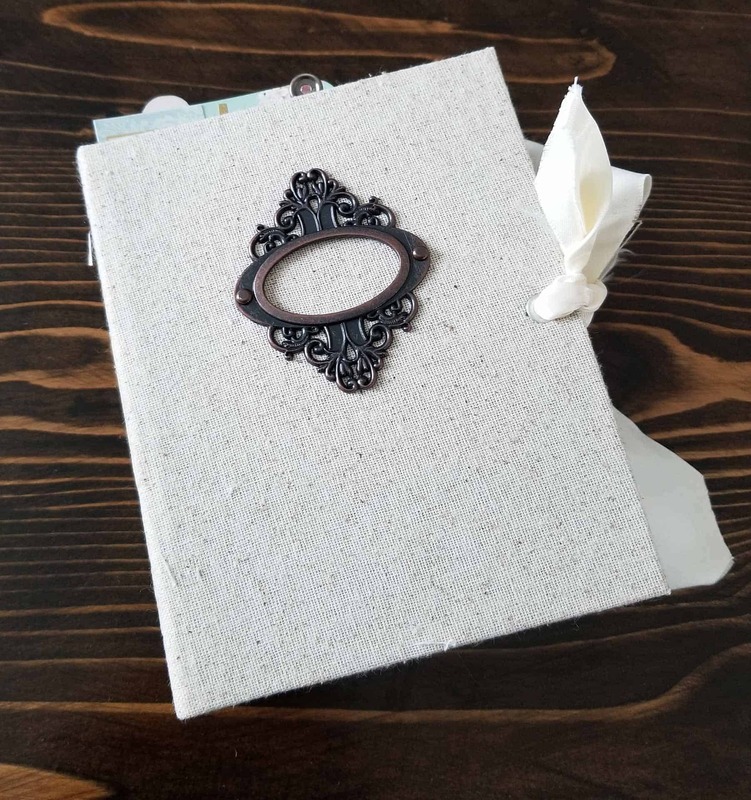 The challenge of customizing and creating a journal for a friend or a fellow junk journaler is more appealing for some, and that’s totally okay! You have to be okay with parting with a journal you’ve created and setting a price on your handcrafted artwork. That decision doesn’t always come easily. For me that decision came when I started making journals I liked, where I really enjoyed the process but I had no real plans to use the journal. I could have put it on a shelf to admire it from time to time, but I decided I’d rather someone else have the journal that would use it. The bonus would be that I could make the money back that I’d spent on junk journal supplies and then create more journals with that money. It was a win-win in my book. I just had to find a place to sell it! There are lots of places where you can sell your junk journal online and offline. Some are easier than others and some may work for you better or worse depending on your preferences. The first place is craft fairs, farmer’s markets or flea markets. Check out the local schedule at your community center, local churches, or other event spaces in your community. Look up listings for events in nearby towns. You’ll likely find some upcoming markets where you could sell your junk journals. Selling at one of these locations usually involves getting a booth or a table and setting up a physical arrangement of your journals to sell. You’ll have to make sure you’re available the date of the fair, and contact someone to make arrangements for having a table. Typically getting a table will involve paying a fee for your space. The upside of craft fairs and markets is that you’ll have guaranteed foot traffic. You’ll also be able to show off a variety of journals and you’ll be able to discuss them with folks who stop by to take a look. Another place you can sell your journals is on EBay. I know some folks sell exclusively on EBay and have a lot of success doing so. It’s a common place to look for vintage items and antiques, so if your junk journals have a vintage theme it might be a great place to sell your journals. The upside of EBay is that EBay gets millions of searches every month, and it will make it possible for your journal to be viewed by hundreds of people. You can reach a much wider audience listing your journal on EBay than you ever could at a craft fair, but you also lose out on the personal touch of being there. Etsy is probably the most common place for people to sell their junk journals. It’s a online market for handcrafted creations, and therefore a perfect place to find people who might be searching for a junk journal. Setting up an Etsy shop is a pretty easy process. Then you’ll just need to take some good photos of your junk journals and list them on your shop. Etsy helps you with figuring out the shipping and taxes process in exchange for taking a percentage and a fee. Another sometimes overlooked, but great place to sell junk journals is on the Facebook Marketplace. You might already be familiar with the local marketplace on Facebook which features Craigslist style advertisements. But Facebook also has targeted marketplaces which feature very specific kinds of things for sale – including junk journal markets. If you’re not familiar with Junk Journal Boutique, it’s a great place for finding people who are already in the market for junk journals. The best part is, your junk journals appear right in other junk journalers Facebook feeds, which makes it that much easier for you to find someone who might be interested in buying your junk journal! So the only issue with the above methods is that they’re not your own. You’ll be renting space in someone else’s market, whether its the local craft fair, Facebook, Etsy or EBay. Those markets have a vested interest in selling handmade goods, but they don’t have an interest in selling your handmade journals specifically. That means alongside your items will be everyone else’s. You’ll have to compete to show up for keywords in Etsy, and that can be difficult. And while healthy competition is good, it can also be distracting for buyers. It also means that you’re at the mercy of those marketplaces. There were lots of upset sellers on Etsy when they hiked the cut they were taking last year, and more when they started taking a cut of the shipping cost. Not to mention some issues they’ve had lately. With your own site, you don’t have to compete with other sellers, you don’t have to worry about Etsy changing their fees, and you have complete control over how your journals are seen on your site. The downside is that creating your own site was a bit of a learning curve. You’ll have to figure out hosting, and you’ll have to learn a bit of the tech to get started. That can seem really intimidating. I know I was overwhelmed at first. But, trust me, as someone who originally knew zero about tech – there are lots of resources out there to help you learn and it was so worth it. If you’re interested in setting up your own website, I’ve got an entire guide on how to start a craft blog. It’ll walk you through the entire process step by step! Much like making the decision to sell your junk journals, this can be a personal decision. But there are a few things you should keep in mind. If you’re hoping to turn your junk journals into a side business, you absolutely want to factor in the cost of your supplies and of your time working. Make sure you keep track of what supplies you used, and what their cost is. You may need to do some math here, to divide up the amount of paper you used out of a paper stack and the length of ribbon you used off of a spool. It’s well worth it to this though, as it means you’ll make sure you’re not shorting yourself. Then you’ll want to factor in your time. How many hours did you spend creating your journals? What’s a fair price for each hour you spend? Add that up and include it in the cost. You can look around at other junk journals on the marketplaces to get an idea of what a fair price might be. As with anything you sell, there will likely be a price that the “market can bear”. Meaning, you might want to charge folks $20/hr for your time but if that makes your journal $500, you might have a difficult time selling it. But the opposite is true as well. Don’t undersell yourself, and don’t try to undercut other artists on the market. That won’t serve you well in the long run. Ultimately, there’s no exact science to pricing. It will be trial and error and depend on all sorts of factors like the season, the size of the journal, how elaborate your journal is, whether you already have a following on social media, and many more things. Making sure your journals show well means different things depending on whether you’re showing them in-person at a craft fair or showing them online through pictures. If it’s in person, think about how you see things arranged at a department store. Things are neatly laid out where people can easily see them. They’re arranged in categories so that people can make better choices. For junk journals this might mean separating your soft cover journals from your hard cover journals, or your TN size from your passport size, or maybe you want to separate them by page number. However you choose, make it easy for folks to understand the order. Make sure your journals are prepped and ready to be sold. Have cute bags or boxes to put them in, and make sure you include a business card or another way for a person to contact you if they decide later that they want to buy more journals! If you’re selling online, then you’ll want to make sure you take high resolution well-lit photos of your journals. This might take a bit of effort and some trial and error. It doesn’t mean you need any special equipment, though it can help. Just some sunlight and a cellphone that takes decent photos can go a long way. If you really want to make selling junk journals a side business, I highly recommend getting your own website and social media accounts for your business. It makes it easier for people to find you, and gives you places to show off your work. Most importantly, it helps you create a community of people that love what you do and want to buy your work. YouTube is one of the best places to do this, as junk journal content is really popular and lots of folks post flip throughs of their journals there. If you’re not sure how to get started with YT, here’s an entire post on how to film your junk journals. Do you have other questions about selling your junk journals? Anything else you’d like to know? Let me know in the comments or feel free to get in touch here.